STEM (science, technology, engineering and math) is all the rage. 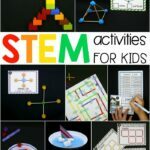 Kids love that the activities are hands-on and engaging and grown ups love that they prepare students for their STEM-filled future. 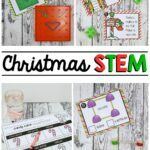 Whether you’re on the hunt for a birthday gift, holiday present or just-because treat, these STEM gift ideas are sure to be a hit! This post contains our favorite Amazon affiliate links. 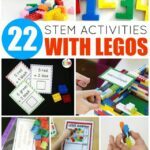 When it comes to STEM, my kids and I can’t get enough. 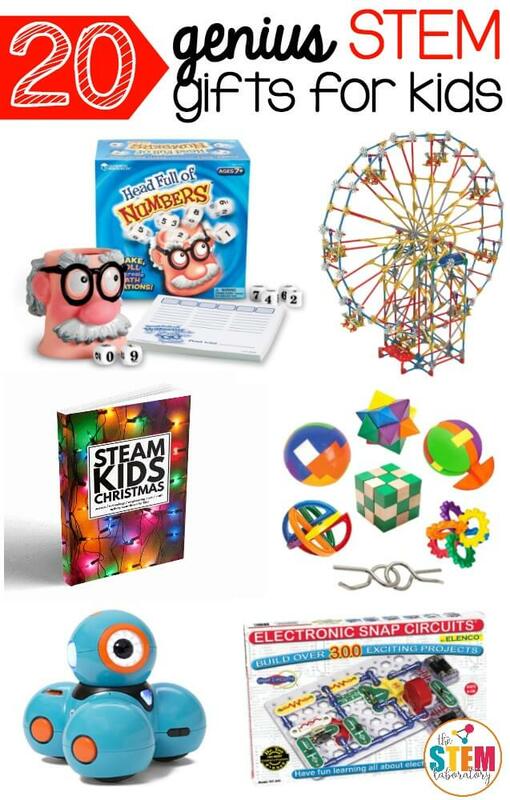 So pulling together a list of our favorite STEM gifts was a true labor of love. Every one of the goodies was kid-tested and strongly approved. 1. Want tons of kid-friendly activities in one spot?! Grab the Christmas STEAM eBook! 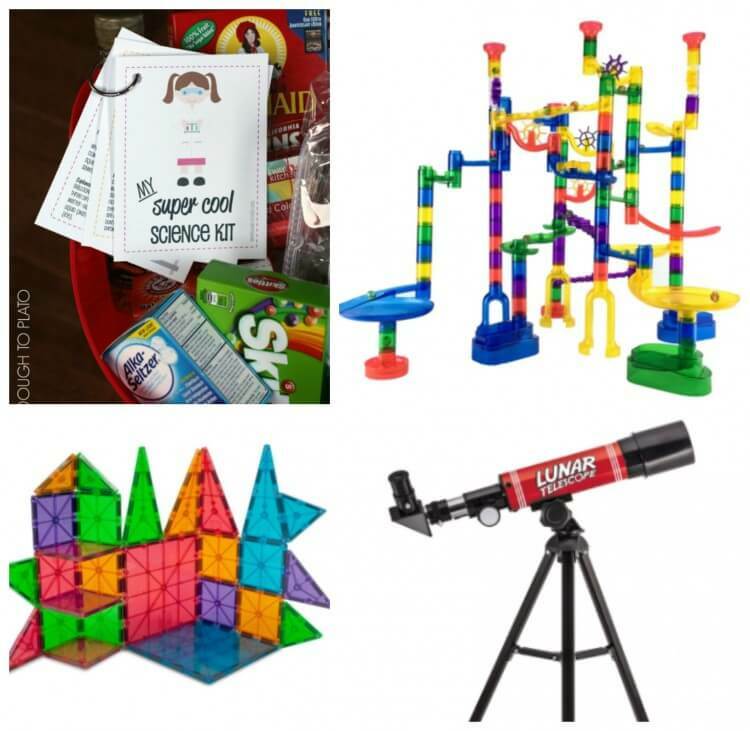 Build Christmas trees out of nuts and bolts, paint tie dye snowflakes, print and play North Pole Dominoes and so much more. 2. LEGOS are one of those gifts that keeps giving and giving. 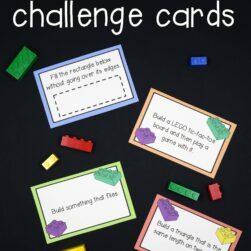 Kids use the instruction book to build the included design and then stretch their imagination to create brand new projects. 3. 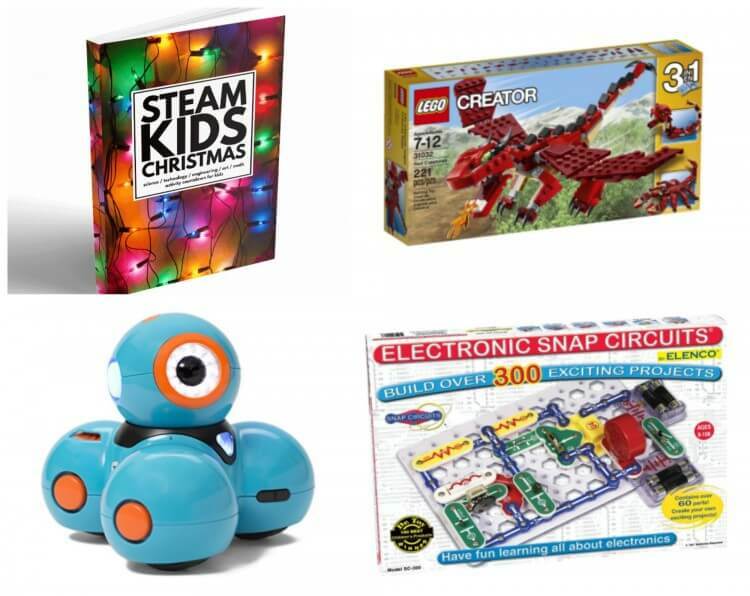 For a gift with some serious “wow” factor, give kids their own robot: Dash! Using simple Apple and Android apps, young engineers program Dash to move, dance, make sounds… it’s limitless. 4. Kids who love to tinker, LOVE Snap Circuits. (It’s my 5 year old’s hands-down favorite!) Using the snap together parts, children build light circuits, radios, doorbells and alarms – learning about electricity along the way. 5. Do you love homemade gifts?! 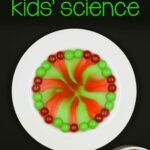 Grab some supplies at the Dollar Store and make a DIY science kit! 6. 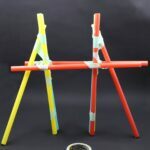 Or build and rebuild marble rolls. The easy to use kits combine into infinite combinations so the possibilities are truly endless. 7. And speaking of building, Magna-Tiles are a fun way to work on engineering skills and learn about the force of magnetism at the same time. Kids can even make magnetic cars that really roll using this car set. 8. Learn about outer space with a new telescope that magnifies the sky by more than 90X. 9. 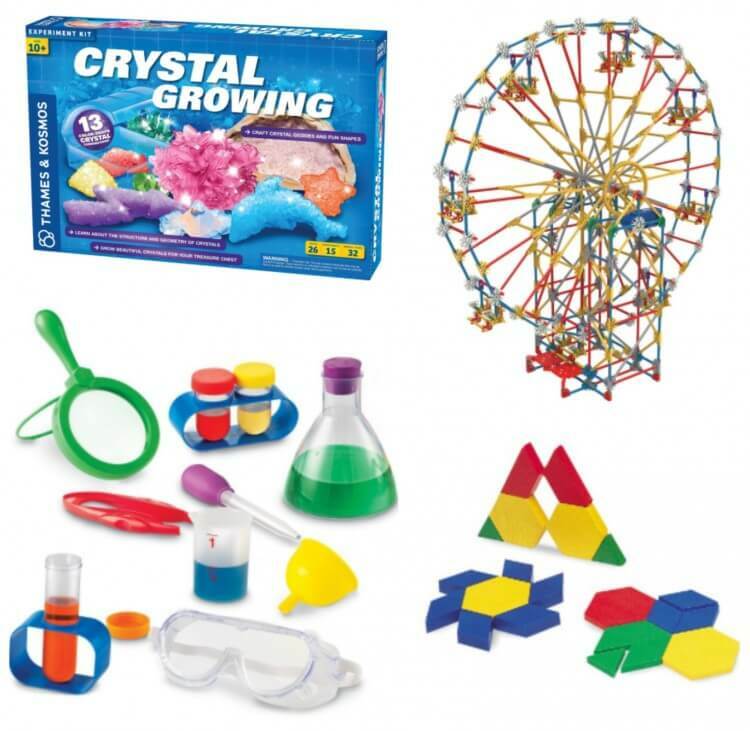 Grow dozens of dazzling crystals as young scientists learn about the structure and geometry of crystals. 10. 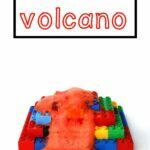 Build a spinning ferris wheel and then use the K’nex pieces to design rolling cars, playful monsters, soaring skyscrapers and more. 11. 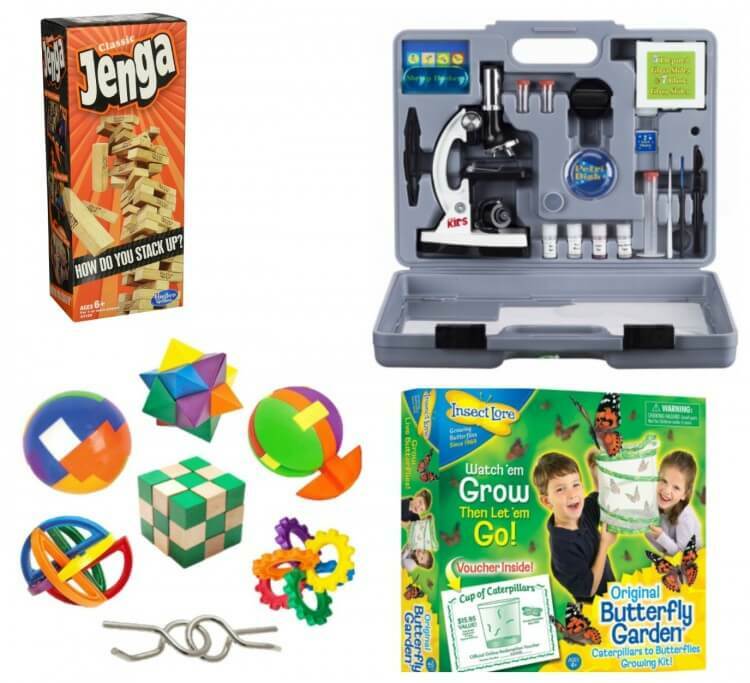 The perfect STEM gift for preschoolers is this science kit. 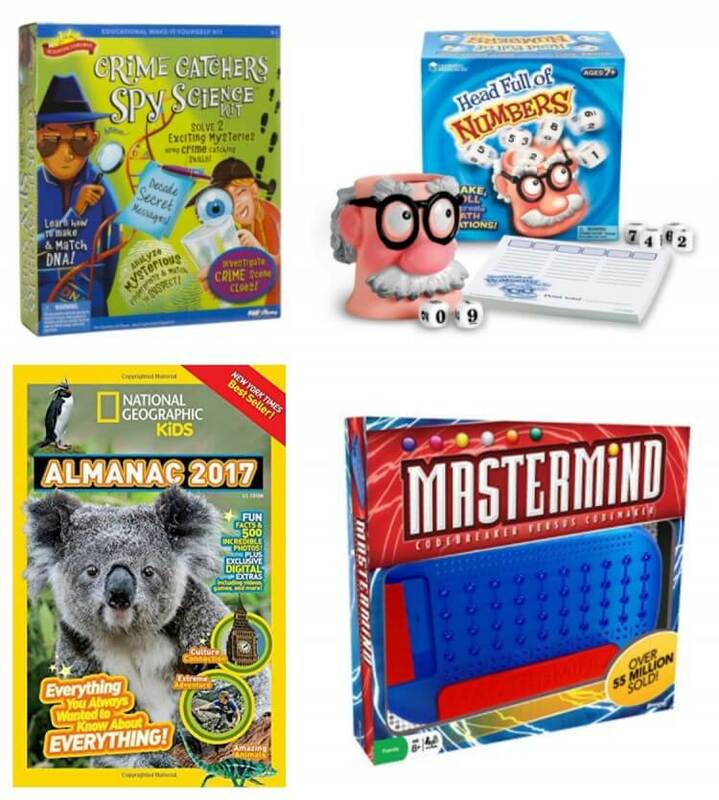 It includes everything they need to set up their very own science lab – goggles, a lab coat, beakers… even simple experiment cards to get them started. 12. 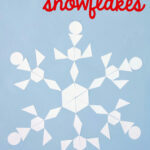 Use a batch of pattern blocks to learn about shapes and then piece them together to design bright and colorful pictures. Our roll and cover pattern block mats are the perfect way to add in some counting and addition practice too! 13. Build engineering skills by challenging kids to a game of Jenga. 14. For scientists who are ready to take a closer look at the world (literally!) give them a beginner microscope. 16. Animal lovers will go wild over watching real caterpillars grow their chrysalises and then emerge as butterflies with this kit. 17. Have a mini detective in the making? She’ll love solving real mysteries with these 8 activities. 18. Work on counting, addition, subtraction, multiplication and even division with Head Full of Numbers. 19. Learn all about animals with the National Geographic Kids Almanac. 20. And finally, create and crack codes with an addictively fun game of Masterminds!